2009 XC: No more updates are being made to this page - goto 2009 XC (link on left). Mercury News: Track & Field Athletes of the Year. CCS Top 100: Congratulations to the following 81 individuals/teams that made it on to the CCS Top 100 All-Time list. Top 100 updates have been completed with the additional event of the Men's & Women's 4x400. All Results of LGAC's: The Los Gatos Summer All-Comer Meets. .
Burlingame HS: Is looking for an XC coach. Contact John Philipopoulos at email jphilipopoulos@smuhsd.org for more information. Dublin All-Comer: meets are happening this summer at Dublin HS. Jumps Camp: Derrick Bell from Bellarmine�I�m doing a jump camp for high, Long, and the TJ. This start June 15th � July 23rd at Piedmont Hill High School time is 5pm. This is a total jump thing with a high jump pit�.open to anyone who wants to improve this summer. Cost is 175.00. Contact me by email at coachjumps@yahoo.com. SJMN Athletes Of the Week: Lance Wolfsmith (Sobrato) and Kiersten Dolbec (Saratoga). 300/500 Mile Club: You can start anytime between now and June 30th. The "Jake White/Hank Lawson XC Club" will meet M-Th @ 9:00am, Sat @ 9:00am and Mon & Wed at 5:30 at Rainbow Park (across the street from Lynbrook HS) by the play structure starting on June 22nd to run anywhere from 3-7 miles. Proposed 2010 At-Large times for CCS: Based on a 3 year average - check it out and see if there are any mistakes, if so email Steve Filios at the CCS office. Cupertino Pride TC: A new Youth Track Club is starting up this summer in Cupertino. FOX Athletics: is doing their summer camp as well. Ernie Lee (Gunn coach): Cross Country Express catches up with Gunn (Go Titans!) coach Ernie Lee. Chabot All-Comers: They will be holding all-comer meets once again this summer. CCS Prediction Contest - RESULTS: Have a guess who will win? Join in now and send in your predictions. LGAA Track Camp: lots of choices this summer. Update #1: So what's happening with Lynbrook XC? Check it out. 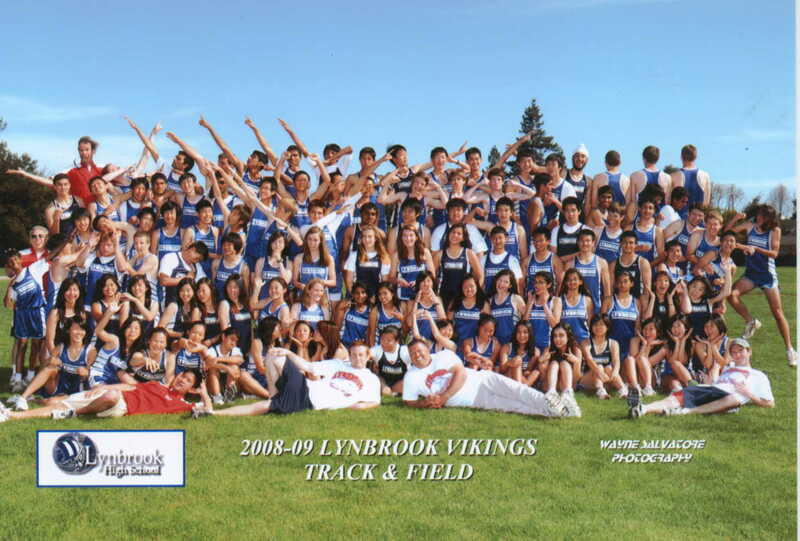 CCS Scholastic Champs: Lynbrook Viking Girls take the Track Scholastic Championships. Tri County Running Club: another opportunity to run with others over the summer. Morgan Hill Mushroom Festival: Is this Sat (5/23) - allow yourself extra time getting to Gilroy, traffic might be a mess. Carlmont AD (Patrick Smith): Carlmont High School (PAL/ CCS-Div.1) - SEEKING (PAID) HEAD COACH FOR X-C [& Possible Asist. Coach (long distance coach) for 2010 track & field season]. Located 15 minutes south of the S.F. airport on the Peninsula in beautiful Belmont, CA. Don't Drink & Drive: A head-on collision taking the life of the limo driver and a 7 year old girl. 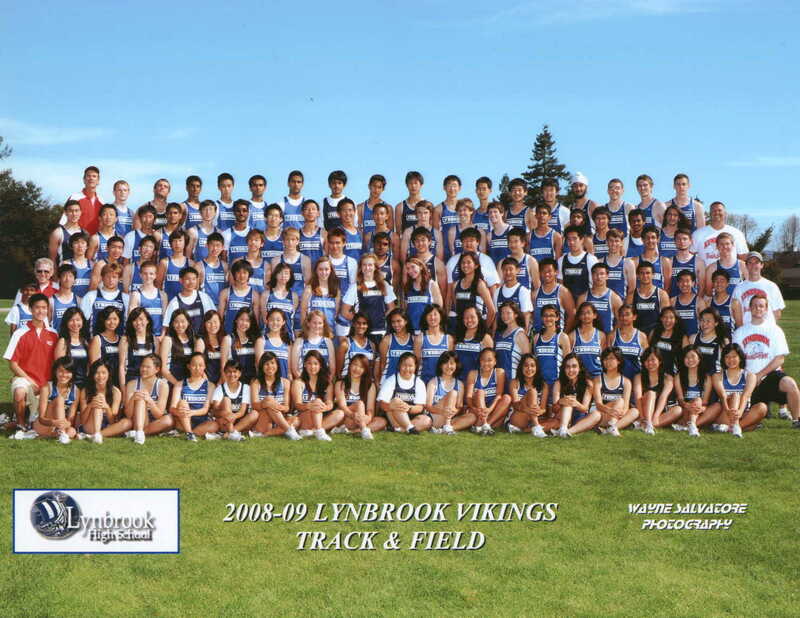 CONGRATULATIONS : are in order to the 2009 Lynbrook High School Girls Varsity Track & Field team! 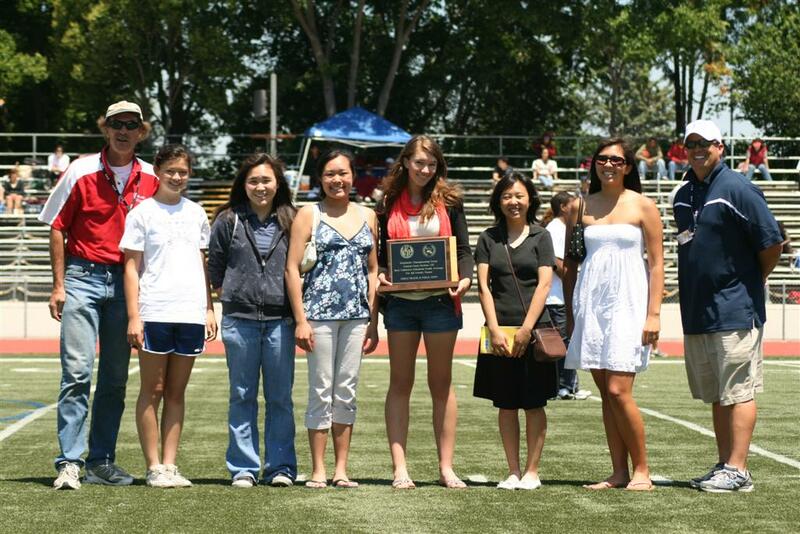 By achieving the highest collective grade-point-average of any Girls Track & Field team in the Central Coast Section during this past Spring season, your team has earned the 2009 CCS Scholastic Championship Team Award, with a collective GPA of 3.7655. SJCC Summer Camp: Will be holding a Track & Field camp. Trail Runs: More runs/races to do once track is over and during the summer - trail running. DSE Races: Summer Series of races around the Lake (4.5 miles). Mike Dudley's: Summer running Boot Camp - check it out. CCS Top Teams: If CCS were run today, and everyone matched their season best mark in all of the events that they've competed in - here are the team standings (Top 10). SJMN Athletes Of the Week: Peter Guenther (Gilroy) and Meagan McKee (Santa Teresa). Vs Fremont: Great way to end the dual meet season with wins in all 4 divisions. Way to go Vikes! Silver Bullets Track Club: Starts May 28th thru Aug 6th at De Anza JC. More info on the left. Steve Scott: At 136 sub 4:00 miles, is that the most ever? Thanks Andrew. Jim Ryun: Thanks for the article Archit. Vs Wilcox: Two undefeated boys team in the SCVAL-EC go at it with the Chargers coming out on top - see meet pictures to the left. Shanique Walker (MP): SJMN Athlete Of The Week. Natie Nelms (Leland): Excels on the Track. Richard Fosbury: Inventor of the 'flop'..
Lynbrook Vs Cupertino: Lynbrook sweeps again, winning all 4 divisions. Dathan Ritzenhein: Great pic at the end of the report with him out-kicking Hall of Stanford. Alisal Invite: Jordan Hasay is coming to the Alisal Invitational on April 25th, 2009! Do not miss this chance to run with one of the best distance runner in the country. Hasay will be competing solely in the 800, and is expecting to run a very fast 800. You can register for the Alisal Invite at www.directathletics.com. If you have any questions, feel free to contact Ignacio Mendez @ imendez@salinas.k12.ca.us or Ignacio Flores @ 831-801-7901. Lynbrook Vs Homestead: Lynbrook wins the Boys, Homestead takes the Girls. Magdelena Lewy-Boulet: Bay Area girl (Berkeley) is having a great career. Reporting Times: Coaches-please read as I am getting times submitted to me for the CCS Top Marks list. Especially read the "Hand to FAT" section. Wilma Rudolph: first female athlete to win 3 golds in a single olympics. Kim Gallagher: Jennifer Tai does a nice report on the National Record Holder in the 800. Lynbrook Vs Santa Clara: Lynbrook sweeps again, winning all 4 divisions. SCVAL Track ByLaws: They still need to be approved by the BOM but if they pass, this is what we will be going by (changes in italics). Lynbrook Vs Saratoga: Great way to start the season by winning all 4 divisions. GO VIKES! Meet Pix Here. US Airways - Hudson River Landing: A non-Track related item but really an amazing animation of the Hudson River landing with actual audio. All Results of LGAC's: The Los Gatos Winter All-Comer Meets. Results 02-28. Scavenger Hunt: Had to find things that started with the letter "P" and the team of Luca, Vivek, Varun and Andrew came up with 52 individual items. For their efforts, the team shared a bag of Skittles. 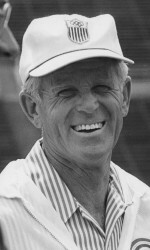 Payton Jordan: (Stanford Track Coach) passes at the age of 91 due to cancer. Click here for more info. Amichi's Fundraiser for Lynbrook Sports: On February 24th Athletic Boosters is working with Amici's East Coast Pizzeria in Cupertino to raise money for Lynbrook Athletics. 25% of your bill will be donated to the Athletics programs, with the money going directly to the sports for the coaches to use towards their sports. 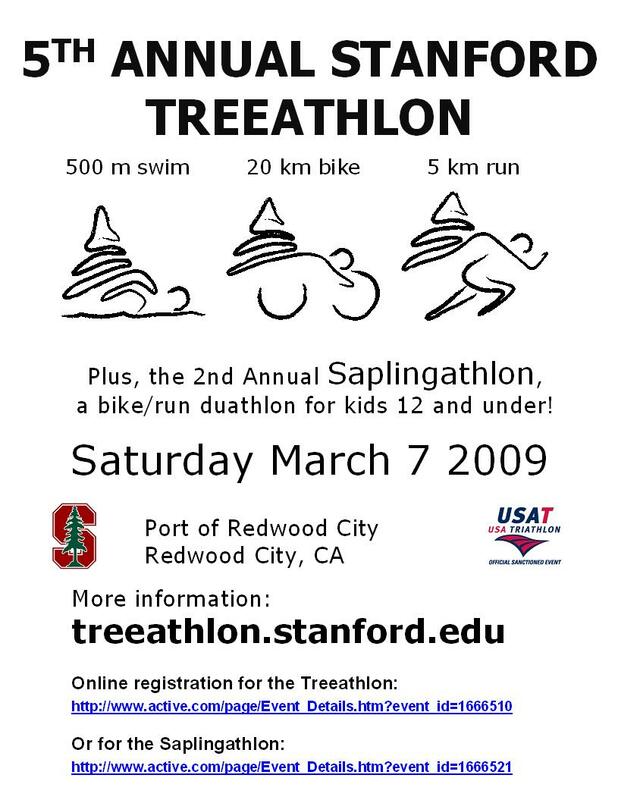 Stanford Triathlon: The 5th annual Stanford Treeathlon and 2nd annual Saplingathlon will take place on Saturday, March 7, 2009. The Treeathlon is a USAT-certified sprint distance triathlon - 500 m swim, 20 km (12 mile) bike, 10 km (6 mile) run. The Saplingathon is a bike / run duathlon with age-appropriate distances for children under 12. Both races will be located at the Port of Redwood City. The course is fast and flat, and the water is chilly - wetsuits are required. We're gearing up for a fun, exciting event!! Trivial Pursuit Run: Juniors win with a score of 20.5 points. Seniors are 2nd (18), followed by Sophomores (15) and Freshman (10). Hosting a HS Track Meet: and HS/USATF Chief Official's Overview Training Program: CCS has put out two new manuals. T & F Clinic: on Rules, Procedures and Mentoring by Steve Filios, Rick Milam & John Wise. CCS Preview: by Keith Conning. The Little Prince: Time for a little self-promotion. I'm playing the part of the Aviator in Tabard's "The Little Prince" opening Jan 23rd at Theater On San Pedro Square in San Jose (next to the Old Spaghetti Factory). It's a great show for kids or if you're reading the book in English class. Hank Lawson, Lynbrook HS Distance Coach. Unofficial CCS Minutes: Thanks to Jim Marheineke of Serra for the update. St Francis HS: is looking for a new Throws coach for this season. If you know of anyone, please have them contact Mike Saso at misaso@sfhs.com. West Valley JC: IS HOLDING ITS SECOND ANNUAL TRACK CLINIC, AT WEST VALLEY COLLEGE IN SARATOGA ON JANUARY 17, 2009. More info to the left when available. Lynbrook HS: is looking for a sprint and/or hurdle coach for the boys and girls. Contact Ray Wright for more info. DVC Steeplechase: Josh MacDonald (Redwood) wins the 2000m Steeplechase at the DVC All-Comer meet with a 6:28.6 clocking. Lynbrook athletes AJ Flint (7:58.3), Michael Yuen (8:28.6) and Ian Wilson (8:53.3). AJ & Michael are now #'s 9 and 10 on the Lynbrook All-Time list. Run For The Dream: indoor meet in Fresno on Jan 19th. There are still spots open for needed athletes. Teams will be named by Jan 12/13th. If interested contact Steve Nelson (Boys) or Lee Webb (girls). All-NorCal XC: Wyatt Landrum, Liberty (Senior), Garrett Rowe, Mt View (Runner & Junior), Dan Milechman, Tamalpais (Soph), Luis Luna, Piner (Frosh). Jennifer Bergman, VC (Senior), Jacque Taylor, Casa Grande (Runner & Junior), Jessie Petersen, Carlmont (Soph), Carrie Verdon, Campolindo (Frosh). PA-USATF Officials Clinc: To be held on Jan 31st at Wilcox HS (and other locations). SCVAL Pre-Season Meeting: The preseason meeting for Track will be Tues., Jan. 13 at 4:00pm at Santa Clara High School in the Conference Room of the Main Office. Lynx & Hy-Tek Clincs: An intro to Finish Lynx and an Advanced Hy-Tek class is being offered in January - check it out. All-CCS XC: Tyre Johnson, Palma (Runner & Senior), Garrett Rowe, Mt View (Junior), Parker Schuh, Mt View (Soph), Michael McCabe, WG (Frosh). Jennifer Bergman, VC (Runner & Senior), Marissa Ferrante, Aptos (Junior), Jessie Petersen, Carlmont (Soph), Abbey Blake, Westmont (Frosh). SJMN All-County XC: Nohe Lema, WG (Senior), Garrett Rowe, Mt View (Runner & Junior), Parker Schuh, Mt View (Soph), Michael McCabe, WG (Frosh). Jennifer Bergman, VC (Runner & Senior), Claudia Barnett, Leland (Junior), Cindy Huang, Lynbrook (Soph), Abbey Blake, Westmont (Frosh). 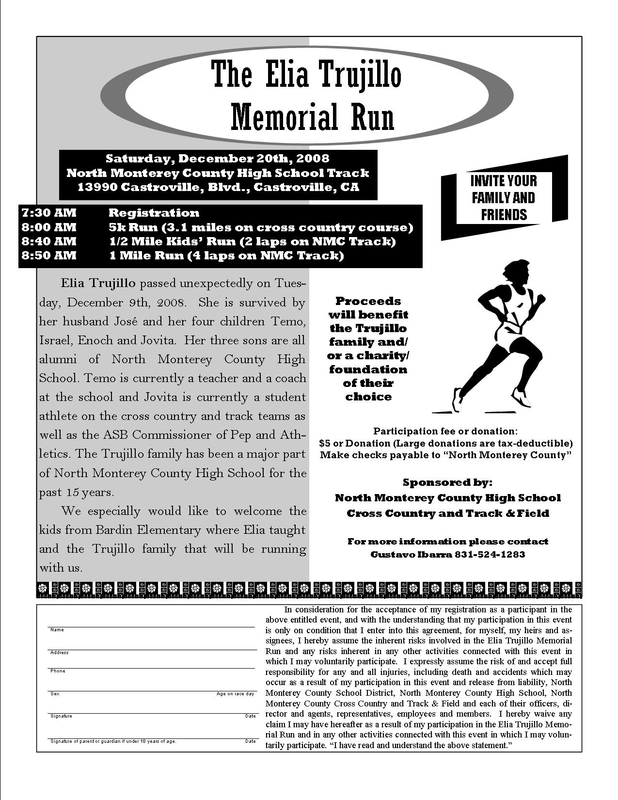 Elia Trujillo (NMC parent): unexpectedly passed away on Tuesday, December 9th, 2008. She is survived by her husband Jose and their four children Temo, Israel, Enoch, and Jovita. All three of the boys are alumni of North Monterey County. Temo is currently a teacher and a coach at the school and Jovita is a current student-athlete on the cross country and track teams as well as being the current ASB Commissioner of Pep and Athletics. Dec 20th is a fundraiser at NMC - click the link for the new schedule. Eastside Sports: Will they really be dropped? Is there something you can do? Check the link to the left. Returning Top 10: Who's back this year? Top 10 marks from 2008 are listed on the left. SteepleChase Clinic: Dec 8 & 10 at 3:30 at Lynbrook HS track. Will teach techniques and actually go over barriers. Following week will practice water jump at WVJC and in Jan we'll run a 2000m Steeple at DVC (see link below) - FREE. NorCal Distance Coaches Clinic: FREE (gotta love that!) - Jan 3rd in Walnut Creek, limited to the first 50 coaches that sign up. Everyone is a student and everyone is a teacher. Read the link above left for more info. DVC All Comers: Starting Jan 3rd and running thru Jan 31st on Saturdays. 4th Annual: Old School Mile on Dec 13th (1:00) at Saratoga HS. School Records in CCS: Want to see what a schools School Records are? Click to the left and scroll down. If your school isn't listed, send me your School Records elctronically and I will post. Holiday Hurdle Clinic: Coach Julia Pickslay (formerly Widstrand) is holding a 'hurdles' clinic at Los Altos HS Dec 29-Jan 1. Track Clinics: James Logan HS is having 5 mini-clinics (first one this weekend), check 'em out. Speed Clinic: Mt Pleasant is hosting a Track Clinic on Dec 20th.